It’s 1995. You’re waiting at the airport for your Continental Airlines flight to take off. A large, boxy television is hanging over you playing CNN broadcasting news on the Clinton Scandal, a government shutdown, Ebola, OJ Simpson, and terror in Oklahoma. You aren’t paying much attention because you’ve just finished up a conference call on your pocket sized Nokia 909. A CONFERENCE CALL. This is the future. Fast forward 20 years… Continental is United, the TV looks mighty slender, but CNN is still telling you about terror threats, government shutdowns, and Ebola… And you’re still not paying attention. This time it’s because you just got off a video conference where you presented a PowerPoint via a remote virtual desktop, collaborated on a spreadsheet, and saved your updates to an internal corporate drive. My first thought is I’m intrigued to consider how plugged in we will be in another 20 years. My second thought is just how secure is all this? Can nefarious people see what I’m doing? Can they capture my data? The answer is often a disconcerting YES. But there are ways of protecting yourself and your information from prying eyes. You can’t control the airport’s wireless network, or the many “hops” your data takes across the public internet to get back to your corporate network. But you can build a secure “tunnel” back to the corporate network. Within that tunnel you can encrypt your data, essentially scrambling it until it reaches it’s destination. This is what is known as a VPN. 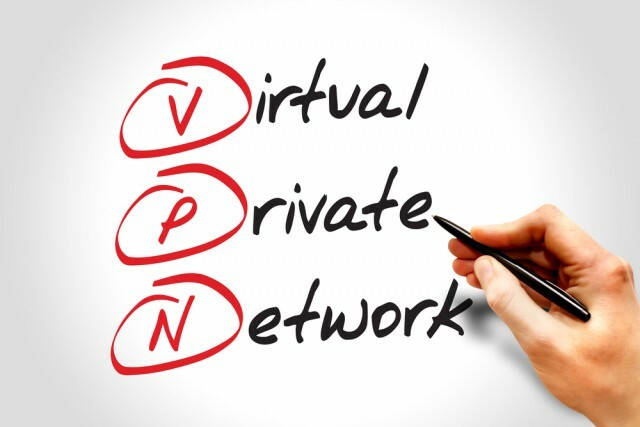 VPNs (Virtual Private Networks) are typically a function of your firewall. This technology has become essential to protect remote employee connections back to the corporate network. Once implemented, they can also simplify management and administration of user access. With a single point of entry for remote users, adding and removing access becomes easy. Several authentication methods can be deployed to meet your company’s security needs, such as two-factor, directory integrated and single sign-on. And if you are subject to regulatory compliance—whether it’s HIPPA, FISMA, SOX or PCI—VPN support for remote users is actually a requirement. Perhaps you already have a firewall and use a VPN. Here’s something to bear in mind: that may not be safe enough. Because security is only as good as your last update. The amount of security patches released every month can be as dizzying as the number of security breaches you hear about in the news nowadays. The average firewall has several updates released each month. Without a vigilant team watching for and applying those new security patches on a rapid and ongoing basis, the threat of hackers or stolen data persists. That is why security isn’t about technology…it’s about process. It’s about the ongoing maintenance and management of technologies that’s required to keep your data secure. That’s what we do. SLPowers will help you get secure and stay secure. Contact us today to schedule a network evaluation. Now don’t you miss that Nokia 909?